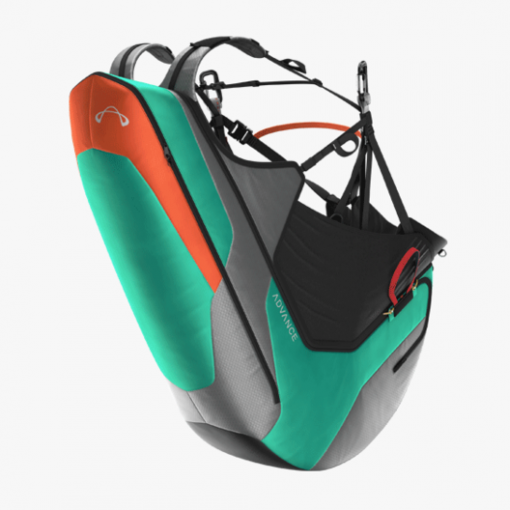 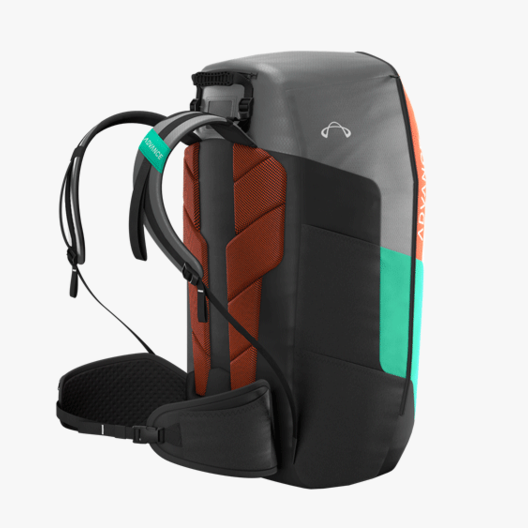 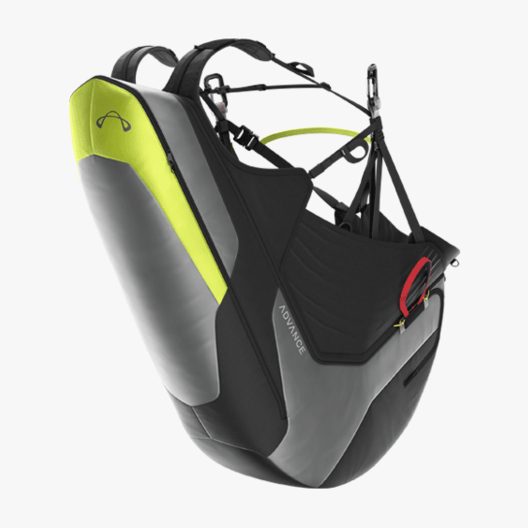 The PROGRESS 3 is a fully-functioning paraglider harness and rucksack. 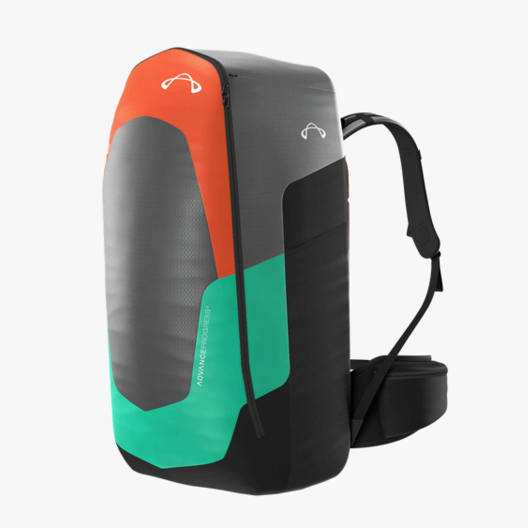 Its low weight (from 3.3 kg) and compact rucksack design make it ideal for everyone who prefers their paragliding equipment to pack up small, without compromising their comfort or protection. 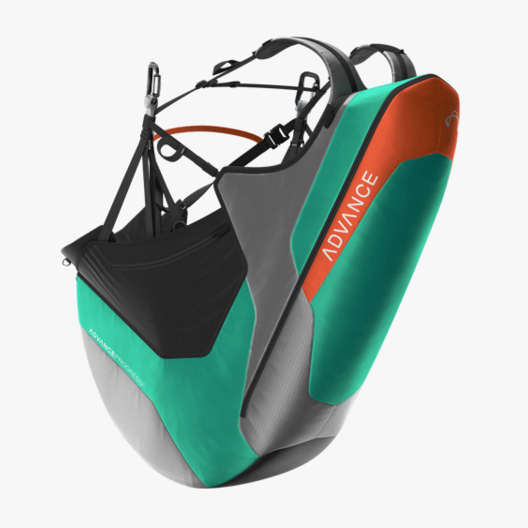 The PROGRESS 3 has an Air-Foam Hybrid-Protector. 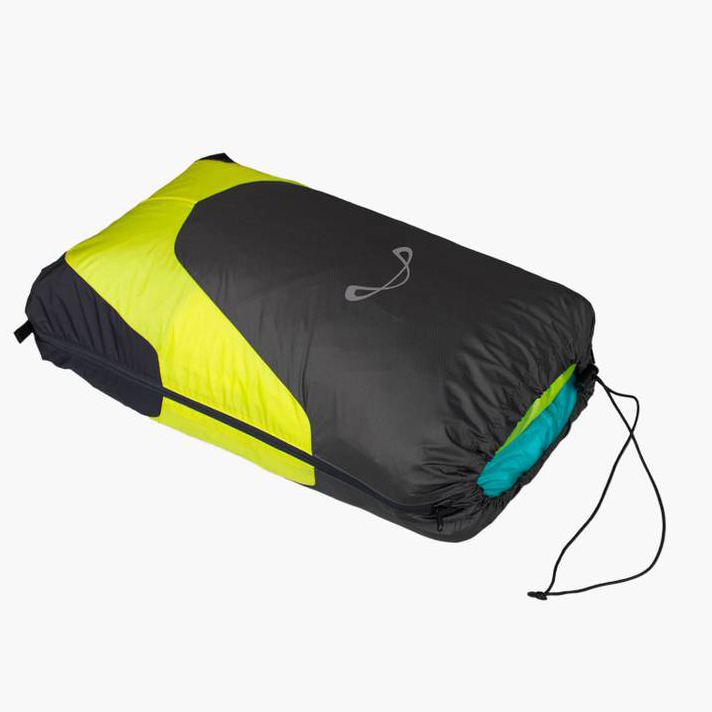 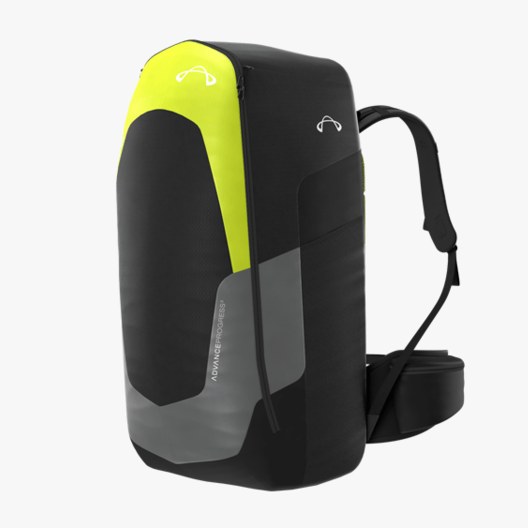 Its foam-ribbed inner structure takes up its shape and fills with air within 60 seconds of the rucksack turning into a harness. 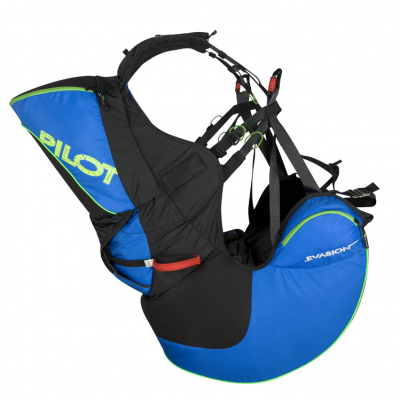 This is how the PROGRESS 3 provides full protection before takeoff. 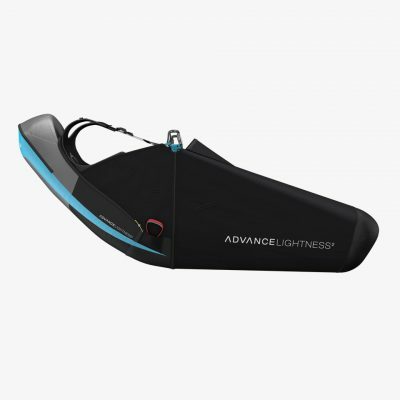 The ergonomically-shaped PROGRESS 3 seat surface automatically takes up the pilot’s body shape in flight, substantial Legpads and ingenious lower back support also contribute to very comfortable hold. As a rucksack, well-fitting shoulder straps and a breathable mesh back section also provide maximal carrying comfort.